The client purchased a Westchester County home as a weekend escape from New York City. 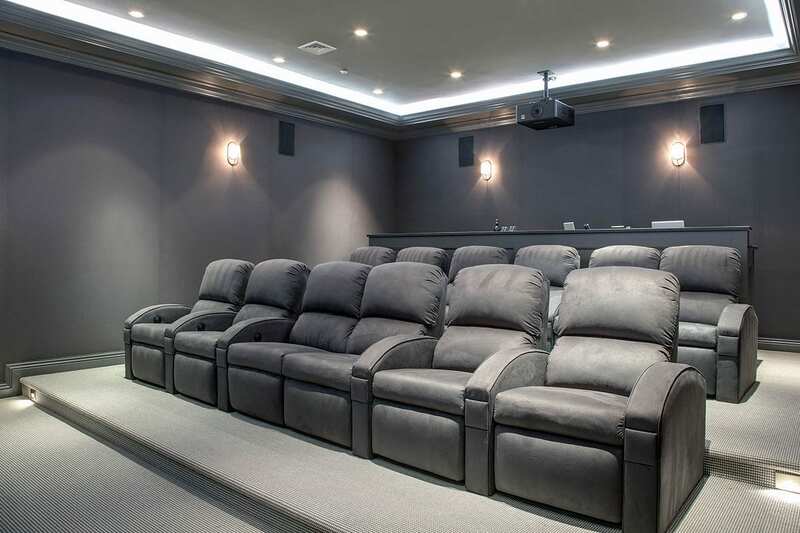 He wanted us to create a room where his family could enjoy viewing movies and he could watch sports with family and friends. The client also desired to have a place where he could spend time with his kids while still working from his computer. 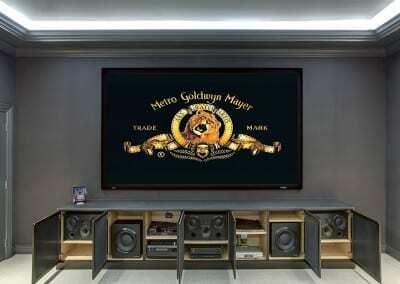 He specifically wanted a dedicated 12-seat home theater with a high-performance sound system and giant screen. 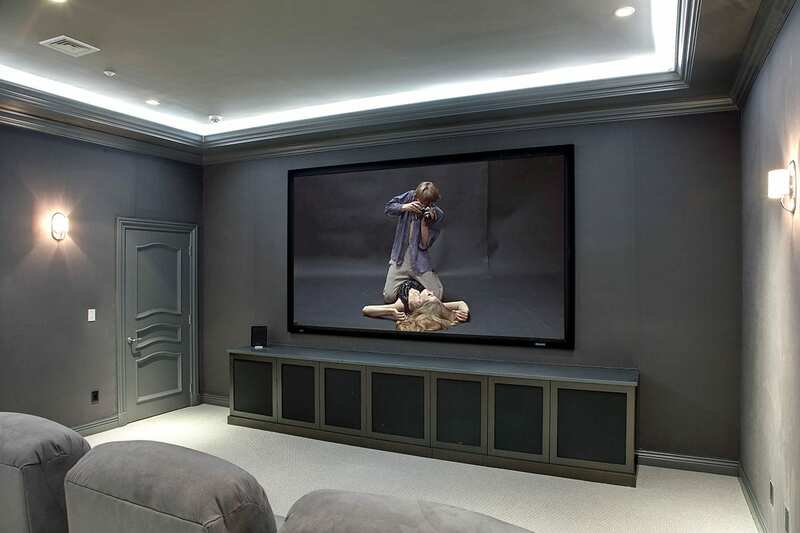 The client required one-stop-shopping and asked that we be the general contractors and hire all required subs to take an unfinished basement and revamp it into a satisfactory home entertainment space. 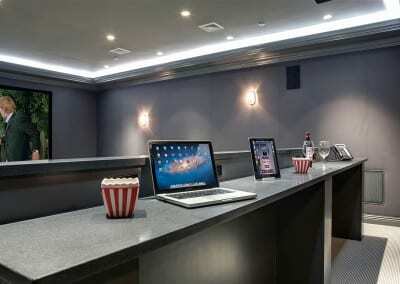 The room was outfitted with a Digital Projection video projector and a fixed Stewart Filmscreen. 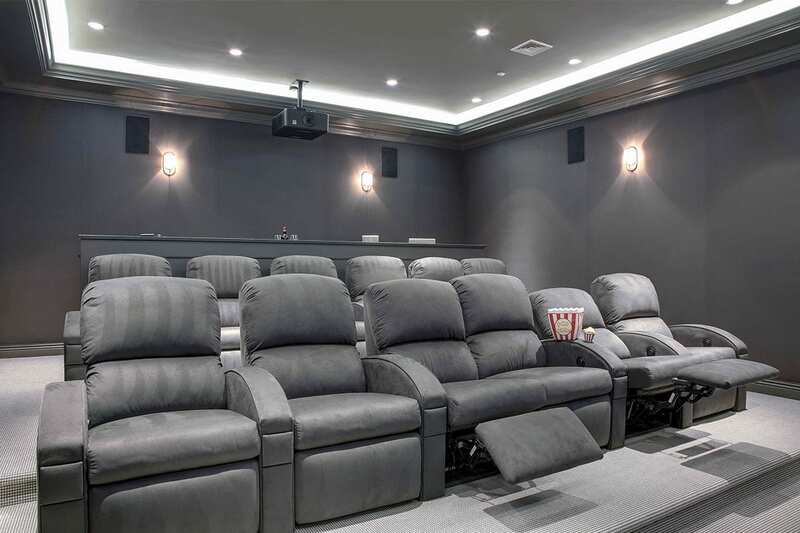 The whole system, along with the Lutron lighting system, is controllable via the fully integrated Savant control system. 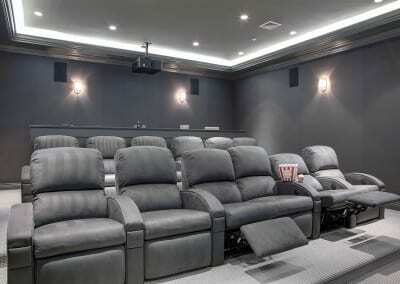 The lighting is programmed to enhance the movie watching experience. When the projector turns on, the lights dim. When it turns off, the lights slowly brighten to avoid hurting anyone’s eyes. The client can use a programmed universal remote control to program the Savant and all the lighting. 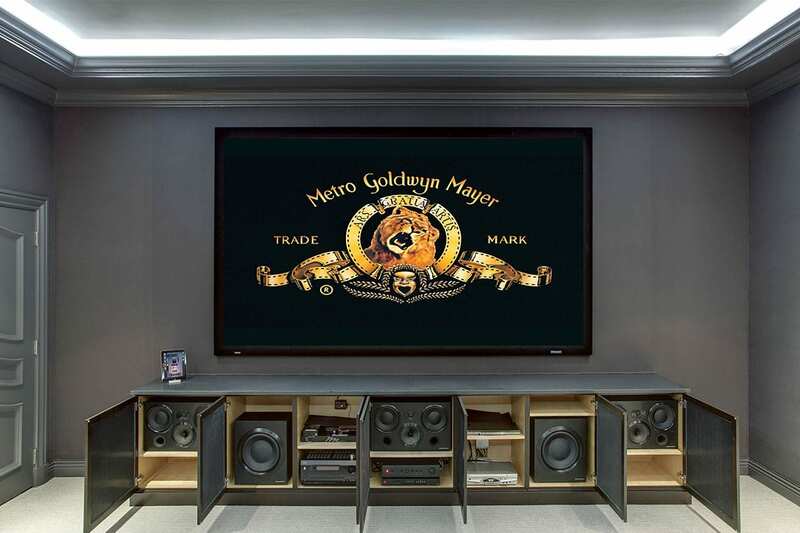 In addition, the theater is equipped with a high-quality receiver, so the family can access the home audio from there. 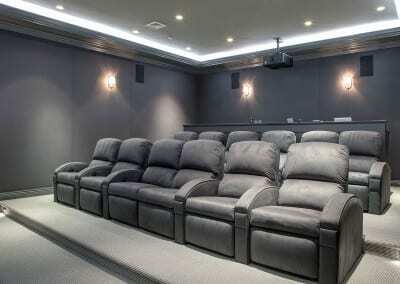 This also makes the theater a great listening room.